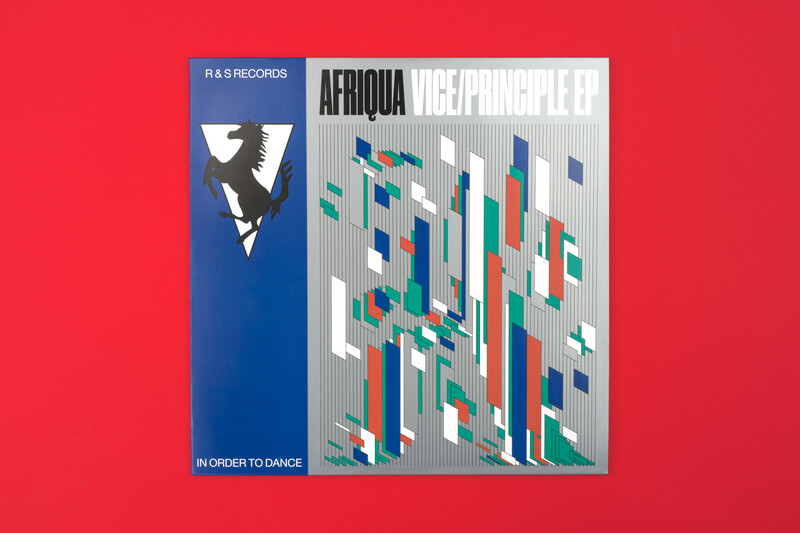 Bespoke record cover for Afriqua's extended play 'Vice/Principle' on R&S Records, released June 2018. The EP design needed to not only stand out and express Afriqua's musicality but also be able to blend into the existing R&S house sleeve design. 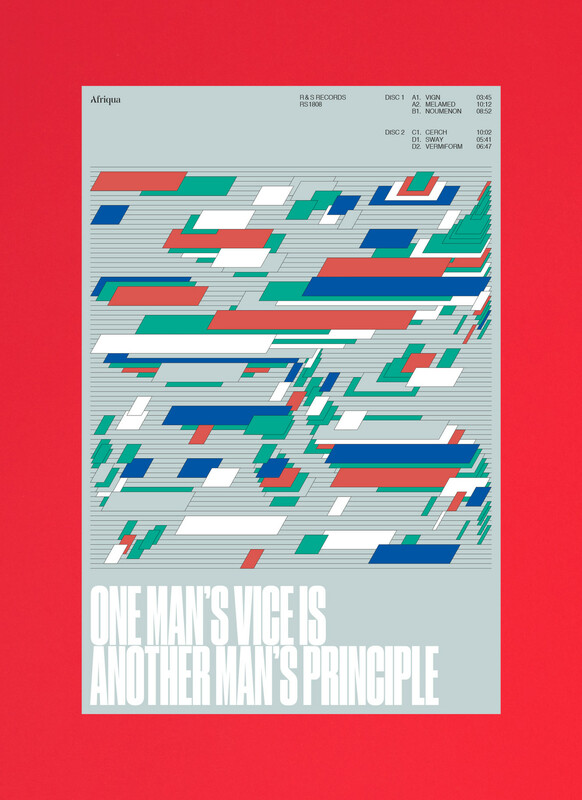 The cover was printed using offset with 4 different Pantone colors. 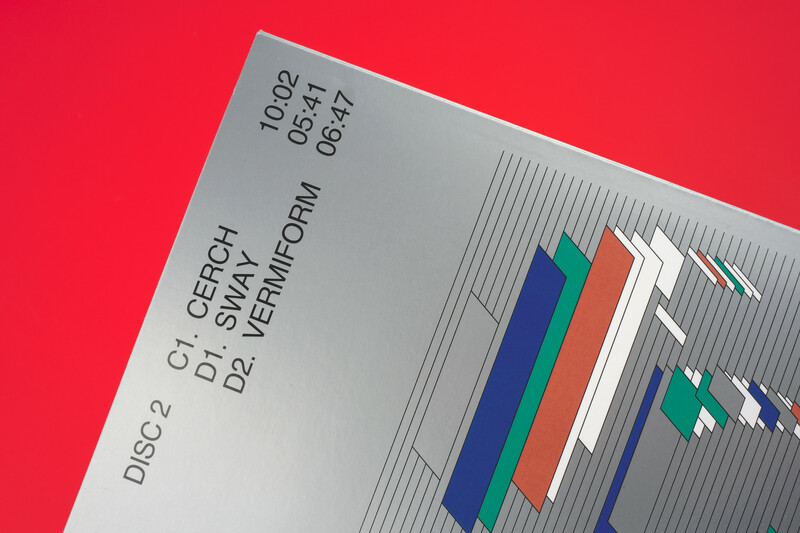 The EP Design have since its release won a 'Gold Award' from Graphis. 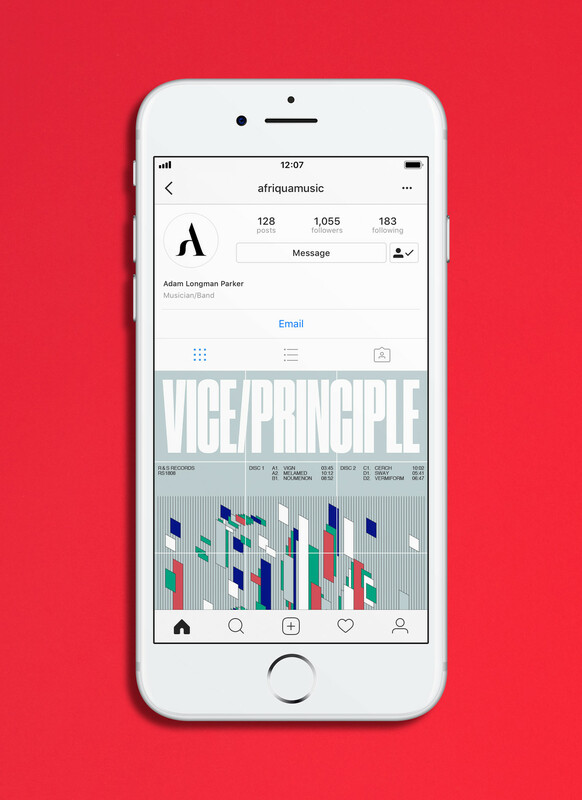 Afriqua's musicality is an equilibrium between youthful inventiveness and a mature artistic philosophy – I wanted to visualize this mixture by designing a contemporary interpretation of Blue Note's iconic record covers from the 1950’s and 60’s. 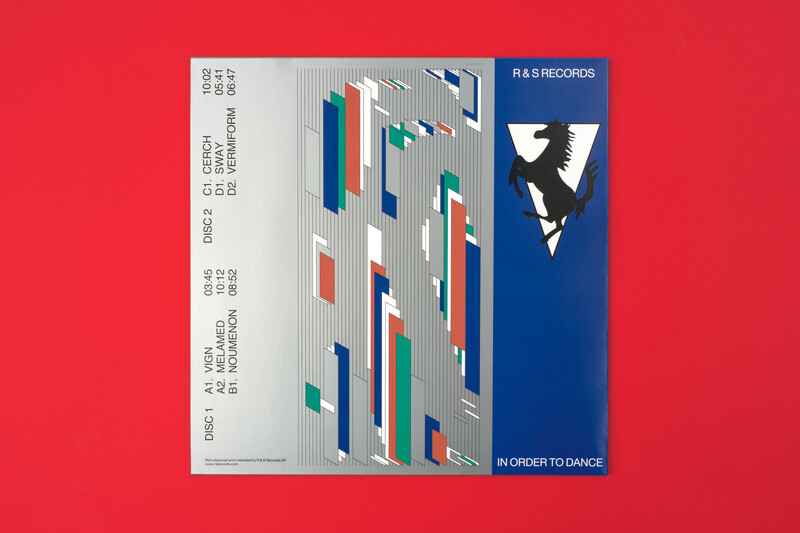 The front cover features Afriqua's iconic logomark, made with three-dimensional musical-bars which unites Adam's mature artistic heritage and contemporary originality in electronic music.